Join Catherine and Eleanor for the fourth episode of Gin & Gentlemen, where they discuss the unique charms of the British seaside. Join Eleanor in Queen Victoria’s shower and gad about with Catherine to peep at a prince in his pavilion. Plus, find out who’s putting the fizz in our gin this week, only on Gin and Gentlemen! You can listen to us at Anchor.fm, iTunes, Spotify, Google Podcasts (Android only), Stitcher, TuneIn, Castbox, Overcast, Breaker, RadioPublic and Pocket Casts. Another enjoyable podcast, ladies. 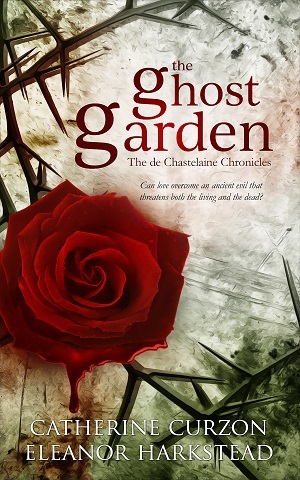 I have pre-ordered The Ghost Garden. Can’t wait to read it. Best wishes! Hello again! We’re glad you enjoyed it – and thanks for ordering The Ghost Garden! Thank you – can’t wait for Bath!